Home » Who was John Titor, the ‘time traveller’ who came from 2036 to warn us of a nuclear war? Who was John Titor, the ‘time traveller’ who came from 2036 to warn us of a nuclear war? 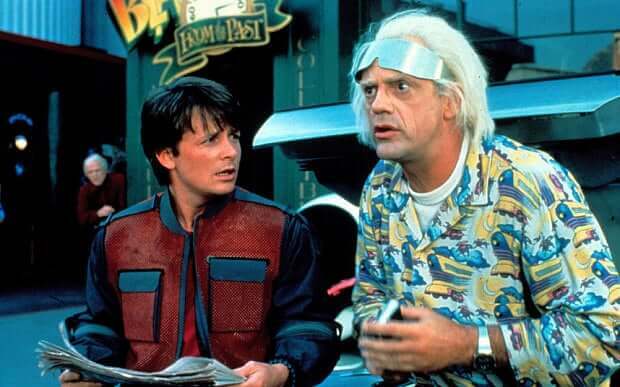 If time travel is possible, why haven’t we met any time travelers? Okay, I can sense you rolling your eyes. But you have to understand, this was a different time. In 2015, the internet is completely intertwined with our ‘real’ lives; we meet future colleagues on Twitter and send old school friends geo-tagged photos before checking our emails on the train. But in the year 2000 there were no smartphones, no social media. The cold blue glow of the CRT monitor was a portal into another world entirely – big, mysterious, and with no fixed identities. In this liminal place – one where, as the New Yorker once put it, nobody knew you were a dog – the idea of a time traveller posting on a bulletin board almost seemed plausible. But here’s the kicker. Titor claimed the 5100 was needed in the future due to a special feature which IBM did not publicly announce. Sure enough, Bob Dubke, an engineer who helped design it, confirmed that such a feature existed. The 5100 had the rare ability to emulate programs in older languages used by IBM mainframes, but the company was worried about how its competition might use it, and told nobody. So Titor was at least a very well-informed hoaxer – a computer scientist or enthusiast who used his knowledge well. For a few years, John Titor’s legend passed around the net, drawing power from the paranoia of the Bush years. A company called the John Titor Foundation, registered in Florida, started selling merchandise and even a book called John Titor: A Time Traveller’s Tale. There was a brief period where his predictions weren’t yet due and where they could still technically come true. Larry Haber is the CEO of the John Titor Foundation, and an IP address connected with Titor points to the same town in which he registered it. A private detective hired by an Italian TV companyconcluded that John Rick, with his presumed computer knowledge, was the culprit. And Titor’s name had actually been first used in 1998, with a different set of predictions (including chaos caused by the Y2K bug). Larry apparently claims to be the lawyer for John Titor’s mother. So Titor was wrong, and there’s a clear candidate for his real identity. Mystery solved?